Update April 2019: Sadly, this shop will be closing. Visions By Shirl opened in March 2011. 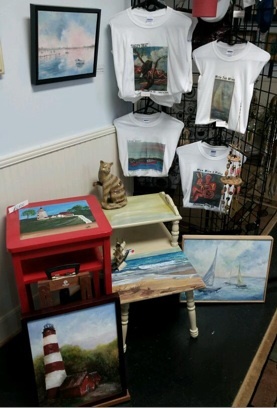 This art shop and studio, owned by Shirley Rush is one of the latest additions to the growing art community which thrives in Colonial Beach. 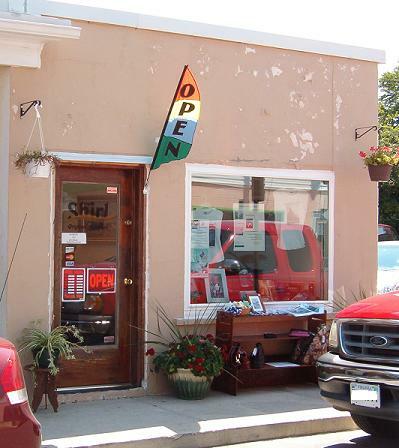 In 2015, her shop was expanded into the former Esco Limited shop which was adjacent to hers, more than doubling the space. In 2016, a beautiful mural was painted on one of the exterior walls of her shop. Rush studied art in Germany. 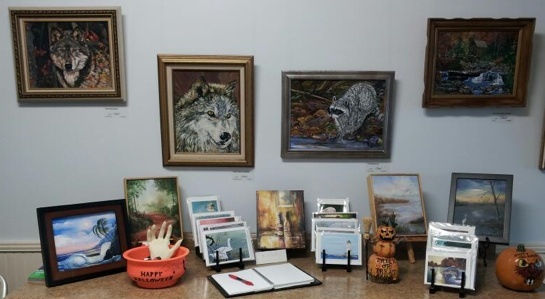 She moved to Colonial Beach in 2008, joined the Artist Guild and started exhibiting her acrylic art work during the Second Friday Art Walks.